If you are thinking of starting a reading group, or want to add even more interest and variety to your existing group, you may be interested in our occasional events, such as author visits and private shopping evenings. We also get involved in events to celebrate World Book Day and National Poetry Day, among other national and international celebrations. Why not join our mailing list and be among the first to be notified of these events?  At The Bookcase we have contact with many local authors. 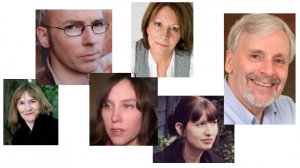 If your group would like an author visit please do get in touch and we can try to arrange that for you. We are so happy that the annual Reading Group Day at our summer book festival became the inspiration for National Reading Group Day, now run by The Reading Agency and supported by libraries and bookshops around the UK as part of Independant Bookshop Week every June. If you would like to know more about this please contact us. 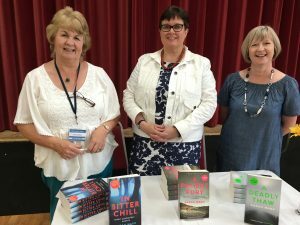 This year we welcomed crime writer, Sarah Ward, as our Reading Group author with her novel, In Bitter Chill, the first in a series of three featuring DC Childs and set in the Peak District. A fourth novel in the series is due out in September. The session was introduced by Eve Griffiths, seen here left with Sarah and festival organiser, Jane Streeter. For groups looking for inspiration when choosing new titles we offer Booktime, a free monthly magazine which gives reviews of new books and interviews with authors which should help inform your future choices. Have a look here to see some of those recommendations.